The most obvious play of shadows and sunshine is on the trails. 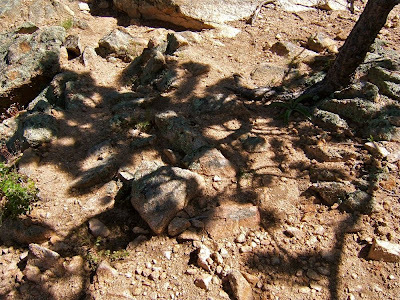 The more subtle ones are of individual trees on the rocks and boulders. 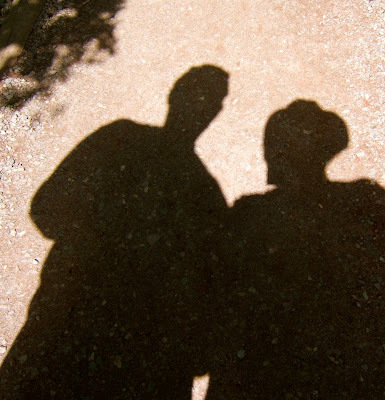 I happened to look down before my husband and I began walking after looking at a view across Bear Lake to catch our shadows together. 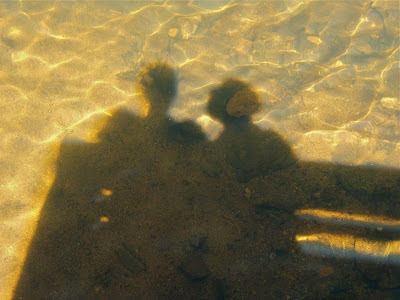 And a few days later I caught our side-by-side shadows reflected in Lily Lake. Looking across Bear Lake to see the reflection of the trees in the water. A future post will explain those brown colored trees. 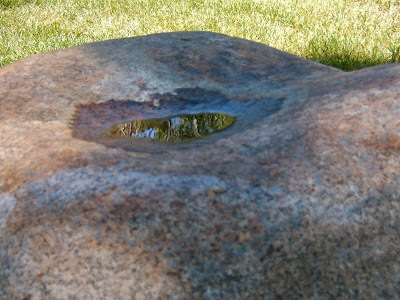 More trees reflected in a small puddle of rainwater caught in the dip of a boulder. 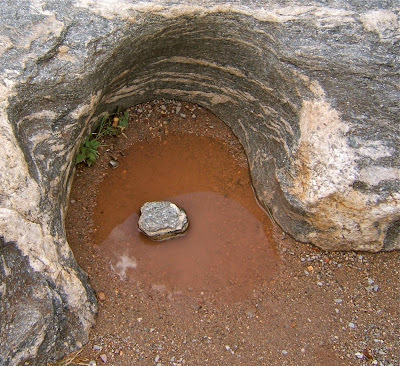 The hollow of a huge boulder cradled this puddle that reflects the sky. 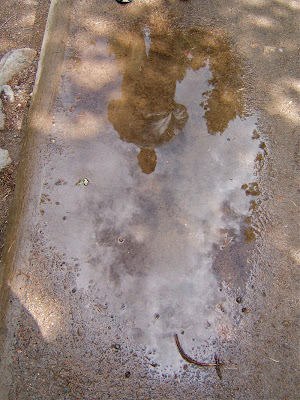 My husband was standing on the other side of a much larger puddle along a hiking path that reflects a lot of sky. 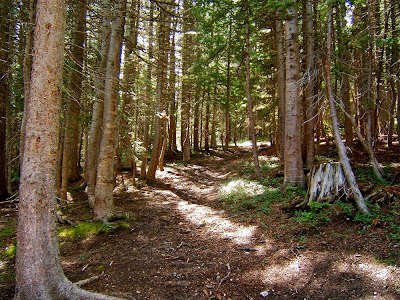 Plus, there are a few dappled shadows from the trees shading the path. Thank you for the lovely little vacation I just enjoyed right here in my kitchen. These pictures are making me want to take a holiday in Michigan! Beautiful images, textures, shadows and reflections Nellie. All are very inspirational. Wonderful photos Nellie! I can see them being inspiration for fibre arts in the near future. 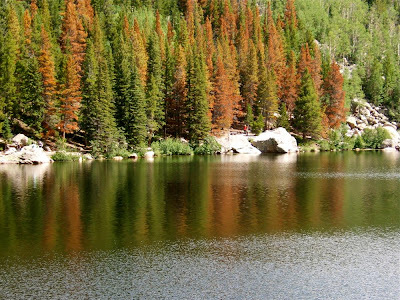 Your beautiful photos have me longing for Estes Park in the worst way! After never having been to Colorado at all until I was nearly 50 years old, I have spent a week there for both of the past two summers. I'm still trying to wrangle time off from work to get out there this month or next. I have fond memories of all of these spots in your pictures ... so thank you very much for reminding me of them! Thank you for sharing your photography. I am really enjoying them. your vacation spot looks heavenly and very inspirational! enjoy!